The Epicurist is Hedon's epitome of sleek-looking usability. 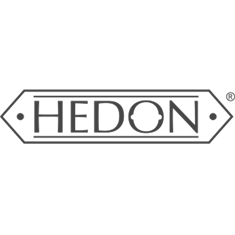 The attention to detail is what we've quickly come to expect from Hedon: craftsmanship to the highest standard. The 2 mm thick thermoformed shield is handcrafted in Europe and attached with 2 gorgeous copper and brass machined screws. All Hedonist helmets have a premium calf leather trim and liner, attached to the helmet shell by the crafty hands in the Hedon ateliers. That shell is made from carbon-reinforced fibreglass which equates to a very strong, hard-wearing yet lightweight helmet. If you're after a low profile, high comfort helmet with the added usability of a hinged visor, this is the one. Please see our size guide above to find out what size is right for your head.